The Doberman Diversity Project is a non-profit global Citizen-Science effort created to support scientific research into Doberman genetic health and longevity by building a comprehensive digital DNA repository that includes health documentation of tested dogs, ​accessible at no cost to researchers across the globe. 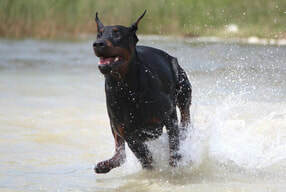 The DDP digital repository of genomic and health information will fuel a powerful Doberman-only 1,000 dog GWAS (Genome-Wide Association Study) researching Doberman genetic disease, genetic diversity and longevity for one important goal -- Improved Doberman longevity & genetic health. All dogs tested through the DDP receive next-generation comprehensive genetic diversity and genetic disease results to support informed breeding decisions. The online Virtual Breeding Tool synthesizes complex genetic data into an easy-to-use tool. 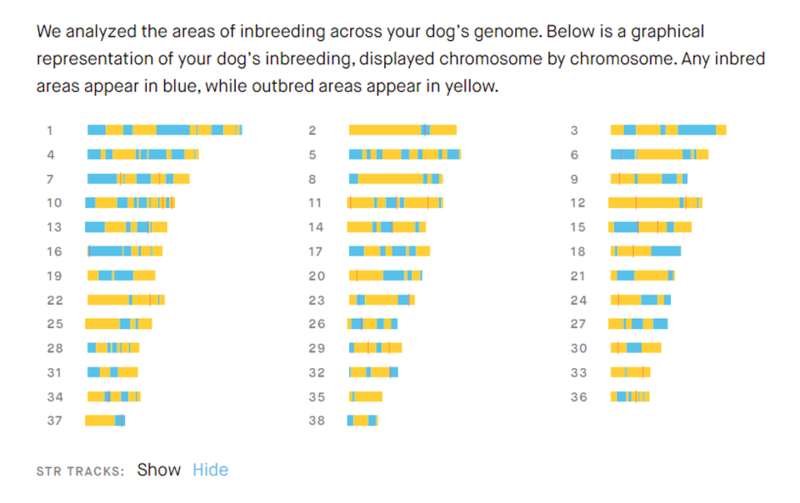 The FREE breeding tool includes (for each proposed mating) an advanced genetic COI (calculated not with pedigrees, but with each dog's actual DNA), shared genetic disease mutations, possible puppy color outcomes, average litter size, DLA diversity, age of dog, number of litters already produced, titles, the location of the proposed mate, and more. Why? ​Because the DDP believes that the best approach to breeding is a comprehensive one. It's not just about DNA disease testing, genetic diversity, Genetic COI, ancestors, conformation, or temperament. It's about ALL of these things in the hands of knowledgeable and transparent Breeders. ​The karyogram below illustrates a DDP-tested dog's chromosomes, showing the level of inbreeding (homozygosity) of that dog, as well as where those areas of inbreeding are located. This complex data is incorporated into the breeding tool to help breeders minimize and even reduce Litter COIs -- an important goal in light of the demonstrated correlation between higher COIs and decreased longevity in dogs. Testing with the DDP supports Research into how Genetic Diversity does or doesn't impact Doberman health. Testing with the DDP includes DNA Testing for all known Doberman Genetic Diseases. Testing with the DDP gains you access to deeply reduced Holtering through the DDP's Holter Project.